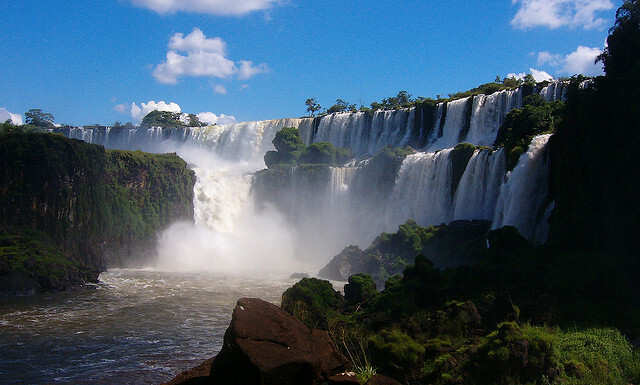 Famous for being home to one of the world’s top football teams, the Rio de Janeiro Carnival and the remarkable Iguazu Falls, Brazil is an exciting world travel destination. As South America’s largest country, Brazil covers a majority of the continent’s northeastern region and borders all of its countries except for Chile and Ecuador. From the Amazon rainforest in the North to the tropical beaches along the Atlantic, to the Pantanal wetlands and the vibrant metropolises of the Southeast there are plenty of interesting places to visit in Brazil.